Astronomy is the most ancient science. Nowadays, with cutting-edge technology and most profound theories, scientists are exploring celestial events that occur in the remote past and researchable objects that are the largest in the Universe. 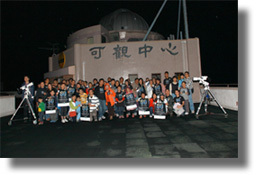 In the past, Astronomy Education was developed silently by amateur and professional astronomers in Hong Kong. Students had limited choices for learning astronomy. HKNEAC, sponsored by Sik Sik Yuen, officially launched in 1995. It houses a 0.5m reflecting telescope in the 6m dome, which was the biggest telescope in the Southeast Asia. The purpose of our centre is providing facilities and advanced Astronomy Education for students while most schools do not have enough equipments and teaching experience. By observing and investigating the Universe through the huge telescope and other facilities, our centre was a pioneer and also an unique place where giving great support to promote astronomy among schools made possible. In the past seventeen years, Sik Sik Yuen keeps funding our school and providing Astronomy classes, teacher trainings, stargazing nights, and educational materials for the schools. 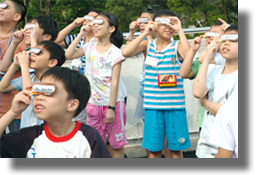 Our centre plays an important role in Hong Kong Astronomy Education. 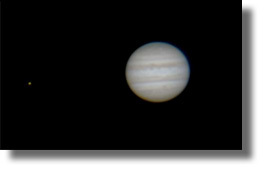 Astronomical observation is the basic and most important part in learning astronomy. In coping with NSS Physics electives curriculum "Astronomy and Space Science", this course is aimed for students conducting Astronomical observation by using the facilities and instruments in our centre. This can provide good opportunities for students to gain practical experiences on applying their Astronomical knowledge and skills. This course contains three themes including solar observation, the celestial sphere concept, and the telescope workshop for participating schools to choose from. Our centre welcomes school or Non-profit organizations to apply the evening stargazing activity. 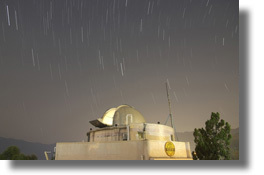 The activity includes Astronomy talk, rooftop stargazing and observatory tour. On a clear night, participants can enjoy stargazing on the rooftop. Under the guidance of the instructors, participants can learn the myths of the constellations and learn how to use different small Astronomical telescopes and binoculars to take a closer look at the stars. Whether it is a sunny or rainy day, the digital planetarium can provide every participant with a dazzling tour of the Universe and the fun of stargazing. The digital planetarium can simulate dark sky environment and support various digital effects that can lead participants travel the Universe through time to experience the beauty of a perfect sky. Our centre welcomes school or Non-profit organizations to apply the daytime Astronomy course which includes Astronomy talk, rooftop solar observation, observatory tour and visiting the digital planetarium. The course will provide basic Astronomy knowledge, including the myths of the constellations, the sun, the Universe and the interesting stories of Astronomy. On a clear day, participants can have solar observation to see sunspots and prominence by using the filter-protected telescope. Our centre provides residential field study course for senior secondary Biology or Geography students every year. 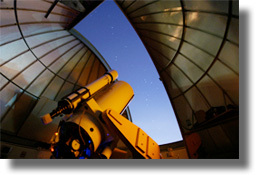 In addition, our centre will provide evening Astronomy course for students participating residential field study course. The course will provide basic Astronomy knowledge, including introduction of Astronomy, the operation of a 20-inch computerized telescope in the observatory tower and using telescopes to do stargazing. Our centre offers some outreach Astronomy programs to school. 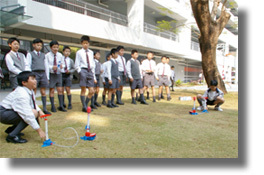 Astronomy workshop will be delivered to students during the programs. Telescopes and digital planetarium will be setting up at the schools to give practical astronomy sessions for the students. To apply outreach Astronomy programs, please call us at 24137122. Our centre will arrange free of charge stargazing open night for the public every month. 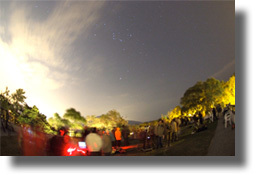 The participants can enjoy stargazing on the rooftop by using telescopes and have observatory tour. If there are special Astronomical phenomena, our centre will have special open day in order to enjoy the beauty of the Universe with the public. Besides, the instructors will bring the telescopes and instruments out for the roadside Astronomical activities for the public to experience the beauty of a perfect sky. In the past, our centre and the Hong Kong Astronomical Society jointly organized these training workshops in order to let teachers exchange experiences in organizing their in-school Astronomical activities and develop teaching resources for teachers. We also support teachers to develop the in-school Astronomical society. Astronomy teacher training workshops run every year for training Astronomy educators and teachers. The participating teachers are very enthusiastic about the workshops.